Underdog Landscape Supply has been providing Sand and Gravel to customers in the Philadelphia, Conshohocken, Main Line, Chester County, and Eastern Montgomery County areas since 1994. We have the best quality of product available and specialize in the customers landscaping needs first. Contact us today to schedule your delivery of Sand and Gravel from Underdog Landscape Supply today, or come visit us at our location in Conshohocken, Pennsylvania! Pea Gravel is used as material to surface walkways, patios, and gardens, or to accent a lawn area. Some landscaping projects will use pea gravel between stepping stones in a project as well. Underdog Landscape Supply provides grain rock for customers and is available by pick-up or delivery. For more information on our grain rock, contact Underdog Landscape Supply today! Underdog Landscape Supply provides fill sand for customers and is available by pick-up or delivery. For more information on our fill sand, contact Underdog Landscape Supply today! Masonry Sand is sand with most of its particles in the medium to fine grades. Masonry sand is commonly used for making cement based masonry mortars for laying brick, blocks, and stone. It is the underlayment for brick pavers and flagstone. Some also use masonry sand in landscaping to mix in with potting soil for garden applications. Underdog Landscape Supply provides fill sand for customers and is available by pick-up or delivery. 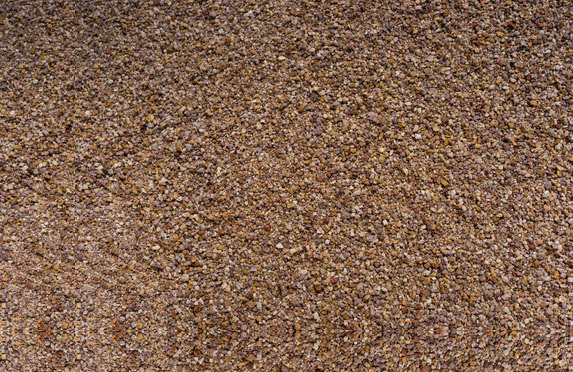 For more information on our fill sand, contact Underdog Landscape Supply today! Play sand is sand that is commonly used in sandboxes. Underdog Landscape Supply provides play sand for customers and is available by pick-up or delivery. For more information on our play sand, contact Underdog Landscape Supply today! Top soil is the upper surface of the Earth’s crust. It is mixed Top Soil from Underdog Landscape supply with minerals and composted material which creates a nutritious substrate for plants to grow in. In landscaping, fresh top soil is used for planting in gardens and flowerbeds. Bagged topsoil is basically a package of compost which is a good soil amendment. Underdog Landscape Supply provides top soil for customers and is available by pick-up or delivery. For more information on our top soil, contact Underdog Landscape Supply today! Compost is created by a mixture of decaying vegetation and manure over a period of time. Compost is used in landscaping as a fertilizer. Compost is actually one of the best mulches for providing benefits to the soil but can also result in a great place for weeds to grow. Underdog Landscape Supply provides compost for customers and is available by pick-up or delivery. For more information on our compost, contact Underdog Landscape Supply today! Sawdust is used in landscaping and it can deplete nitrogen if mixed with the soil. However, sawdust on top of the soil should not present a nitrogen concern. Keep an eye on your plants and add a nitrogen-rich fertilizer if necessary. Underdog Landscape Supply provides sawdust for customers and is available by pick-up or delivery. For more information on our sawdust, contact Underdog Landscape Supply today! Screened Dirt from Underdog Landscape Supply is dirt that has been aerated so that large clods, sticks, large clay balls, debris, and rocks have been removed. However, there still may be small-sized items present that have passed through the screening process. Screened dirt is very consistent in texture and also very workable. Underdog Landscape Supply provides screened dirt for customers and is available by pick-up or delivery. For more information on our screened dirt, contact Underdog Landscape Supply today!